So what do you give a crusty old sea kayaker for his birthday?. Well certainly not something in the way of kayaking or camping gear. They probably already have it or tried it or discarded it years ago. What about a kayaking book or DVD ?. Probably not as they would have already read it or seen it. Clothing perhaps ?. Again they probably already have at least 2 of everything in the wardrobe. A new paddle ?. That’s a possibility, however there’s so many to choose from it’s hard to get it right. I just had my birthday and received 2 things that I appreciated. 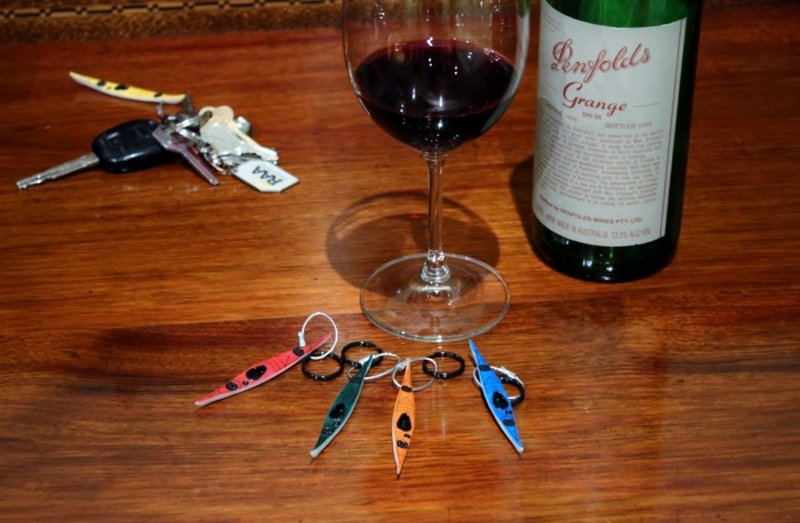 A great sea kayak keyring and a nice bottle of wine. The keyring reminds me where I should be and the wine helps me forget my age. 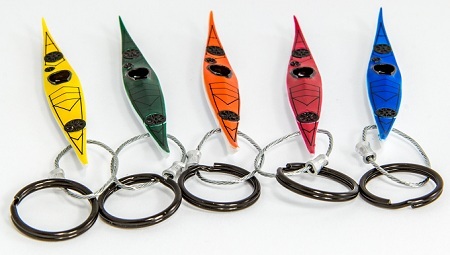 The keyrings are great, a reminder of time on the water. I bought the full range of colours so I have a few birthday presents for others on hand. I found them on the Hobkey site here . Nicely made and easy to have delivered by post. This entry was posted in Kayaking Gear and tagged Hobkey sea kayak keyring. Bookmark the permalink. Nice to have it all. A good woman at your side to boot! Happy birthday and a great year ahead.